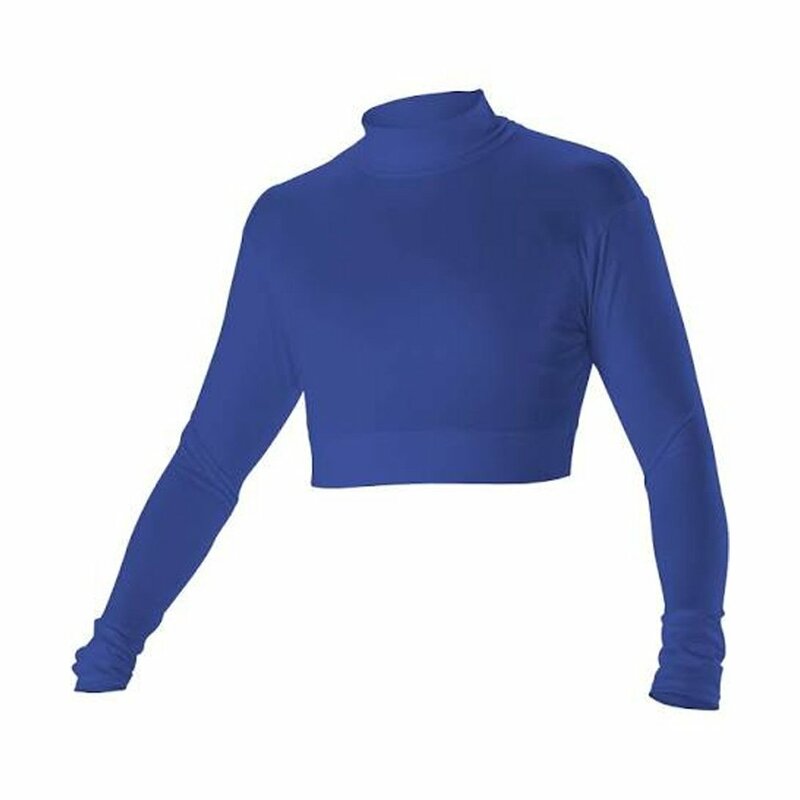 Alleson Cheerleaders Body Basics Midriff Tops are great for cheer, dance and drill. Wear them for training or a competition. Made of polyester/spandex with moisture management wicking properties. Set-in long sleeves and fold-down turtleneck. 2" covered elastic at midriff bottom to eliminate the top from riding-up or stretching out. Zipper on upper back.